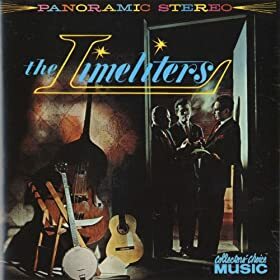 SH Spotlight The Limeliters, Glenn Yarbrough video from 1963, amazing live performance from Dutch TV! Discussion in 'Music Corner' started by Steve Hoffman, Aug 27, 2015. Well, it seemed to me that he was trying to speak Swedish but I heard that they toured in Norway as well so I just made it vague. But now that I know, I'll change. Swedish and Dutch has some similarities, but mostly sounds totally different. Swedish and Norwegian is closer, we can understand eachother pretty well, although not excellent. But I understand that for a American (for example), Dutch and the Scandinavian languages sound similar. We all share some roots. I was in Sweden a couple of years ago, and found out that Swedish is much easier to understand for me when I read it. The language sounds very different from Dutch (to me, a native Dutch speaker), but many words seem to have the same roots, and in writing that's easy to see. But we pronounce those words differently. I must say this thread has received a lot more responses than I would have imagined. You never know..
BTW. I'm not into this kind of music, but I love to hear and see the recording. In this day and age of cheap ubiquitous hi-tech recording gear, it's fun to see how to make a good recording in a simple way. I wish Alex Hassilev's solo albums were on CD; and The Limeliters Reunion on Stax. They did a good version of Farewell on one of their last albums before the reunion "Leave It To The Limeliters" love Alex Hassilev's vocals. All should be on CD, inc. the first album in stereo not just saying so, that was a shame. Jimmy B. and .crystalised. like this. Just watched this: amazing. Thanks for posting. Tonight In Person would be a perfect AF SACD if more people were familiar with the Limeliters. One of the best folk albums ever. My own favorite is "Fourteen 14K Folksongs." One of my fonder record collecting memories, however, is latching onto a copy of "Tonight: In Person" for my mother for Christmas one year. Mom and Dad had bought more than one copy when it was released, but all proved defective in one way or another and had to be returned. For years when I was growing up Mom would mention how she wished she had a copy of their "Madeira, m'Dear" from that record. (Later, I learned that the Limeliters "borrowed" that from Michael Flanders and Donald Swann. Understand, this was long before the Internet was even dreamed of.) So when a good, albeit used, copy emerged from under the tree all those years later, you can guess what a big grin broke across her face. One of the few real paybacks I managed to give her in return for all the crosses she bore when I got into this hobby, admittedly with a bit of nudging from her, as an early teen. The Limeliters themselves prefer "Through Childrens Eyes" out of anything in their catalog, but it was Tonight: In Person that was their biggest selling album, and it still sold on CD via RCA themselves, and as a result, Tonight: In Person was what would be the SACD candidate if any of their albums were to be a candidate for the AF treatment. Love the harmonies. Sound from a single microphone is great. Seriously, doesn't that bass player look a lot like Eugene Levy? Different character in the film, of course, but I love Levy, Shearer, Guest, and the whole company of those films. I wish Guest would make another one. My wife grew up with Limeliters records in heavy rotation from her parents, and remains a big fan to this day. 1962's Through Children's Eyes is the one that stuck with her most, and would probably still be her favorite. When we started dating, I scored lots of points by finding old Limeliters albums for her in the various used record stores near my college campus. I just watched that first video again. Recording engineers of the world! This is what you can do with one microphone! Lose the rest, be happy! Just got to watch the video. I didn't know too much about the group, just the jingle "Things Go Better with Coke"! The first track had some great lyrics-ones that do not easily fit into a musical arrangement, but it was well done here. Many artists don't quite fit lyrics with music as well consistently. The third track was pretty intense, but very well sung, great multi-part harmony. Beautiful singing throughout the songs. The second track is probably my favorite of the 3. I love a good live spoken intro as the artist continues playing the intro-what a gorgeous waterfall-like, rippling water Spanish guitar on that intro. A fine, unorthodox arrangement, the music pausing at times, the mid-song changes in language, in vocalists, in mood; the lyrics that tell a story of a distant land, very dramatic presentation of the song overall-I felt like I was traveling to Brazil. Very nice. I'll look into them further. Great argument for the Spanish guitar-regular acoustics can't reach certain colors that this guitar can. EDIT: Actually the tracks show some of the future of the 60's rock music. The very dark, sad harmonies remind me of the later Yardbirds chants, and the more ghostly harmonies of some tracks during the psychedelic era, while the Spanish guitars remind me of Love's work. Glad to see this get a bump. It was a different time but the music is timeless as it should be. Perfect music to dig out and make the day better. I have the hungry i version in stereo. LSP-2609. sounds pretty good. i paid $2.35 for it new in 1964. things have changed. I avoided music like this for my teen and young adult life. Now I find it new and refreshing, even though it's old as the hills. Irony. are using? here is a Beach Boys accapella clip around one mic, sounds devine. "A Dollar Down" is still my favorite of their output, though I love them all. Loved the Limeliters clip, thank you! Been a long time since I've listened to this wonderful folk music, inspires me to become reacquainted with it.